Hotels/Motels- You may think that you will be safe from bed bugs because you’ve booked your room in a luxury, 5 star hotel, but unfortunately this isn’t true. The existence of bed bugs have nothing to do with cleanliness, and they are just as likely to show up at a fancy hotel as a beaten down motel. Thrift Stores/Consignment Stores- Buying used furniture may save you a great deal of money, but you need to be careful! Bed bugs can conceal themselves easily within the smallest hiding places in your furniture. Retail Stores- Just because you are buying new, doesn’t mean that you are safe from bed bugs. Many retailers have had to temporarily close their doors due to bed bug infestations. Carefully check anything that you buy and shake out new clothes. Planes, Trains and Automobiles (Buses)- There are so many people that travel on planes, trains and buses, and you aren’t likely to spot a teeny tiny bed bug hiding in your seat. Before you unpack your belongings, thoroughly inspect them. 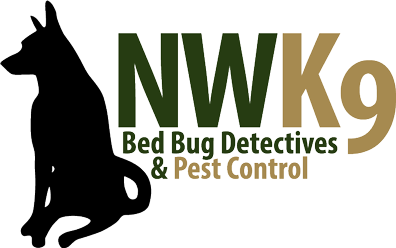 Learn about the other most common places to find bed bugs by staying tuned for our next blog.